The period from adolescence through young adulthood is one of great promise and vulnerability. As teenagers approach maturity, they must develop and apply the skills and habits necessary to navigate adulthood and compete in an ever more technological and globalized world. But as parents and researchers have long known, there is a crucial dichotomy between adolescents cognitive competence and their frequent inability to utilize that competence in everyday decision-making. 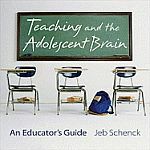 This volume brings together an interdisciplinary group of leading scientists to examine how the adolescent brain develops, and how this development impacts various aspects of reasoning and decision-making, from the use and function of memory and representation, to judgment, mathematical problem-solving, and the construction of meaning. "I can thoroughly recommend it to any educational and child psychologist who has frequent eyeball-to-eyeball contact with adolescents and who wishes to develop a functional, but supportive, working relationship and adopt a balanced position between the needs of the school and those of a young person finding their way into adulthood." Comprehensive and authoritative, this book helps educators and clinicians navigate the maze of laws, policies, and scientific research relating to diagnostic and intervention decision making for adolescents and adults. It provides clear guidance on how to conduct and document evidence-based assessments and select appropriate instructional and testing accommodations. Helpful and accessible, the book explains the methodology used in music therapy, a topic that has been considered only briefly until now. The author presents an empowering approach to practice, discussing how the therapist can be placed in a collaborative relationship with the individual or with the group. A range of strategies is explored, including song sharing, improvisation, song writing and various multi-media approaches. Some of the key challenges faced by music therapists working with adolescent clients are addressed, including the constantly changing repertoire and evolving musical tastes, and the author offers practical solutions for overcoming these. Contemporary models of Community Music Therapy are outlined in the second half of the book, and case vignettes illustrate how each of the methods can be applied in practice, and the outcomes that may be expected. The first of its kind, this comprehensive book is a must for all music therapists working with adolescent clients. This book provides an in-depth examination of adolescents' social development in the context of the family. It discusses extensive research on disclosure and secrecy during adolescence, parenting, autonomy, and moral developmentConsiders both popular sources such as movies and public surveys, as well as scholarly sources drawn from anthropology, history, sociology, social psychology, and developmental psychology. - Find New Ways to Make Friends. Borderline Personality Disorder in Adolescents" offers parents, caregivers, and adolescents themselves a complete understanding of this complex and tough-to-treat disorder. This comprehensive guide thoroughly explains what BPD is and what a patient's treatment options are, including the revolutionary new treatment called dialectic behavior therapy. What happens when a young brain is traumatized? How does terror, abuse, or disaster affect a child's mind--and how can that mind recover? Child psychiatrist Bruce Perry has helped children faced with unimaginable horror: genocide survivors, murder witnesses, kidnapped teenagers, and victims of family violence. In The Boy Who Was Raised as a Dog, he tells their stories of trauma and transformation through the lens of science, revealing the brain's astonishing capacity for healing. Deftly combining unforgettable case histories with his own compassionate, insightful strategies for rehabilitation, Perry explains what exactly happens to the brain when a child is exposed to extreme stress--and reveals the unexpected measures that can be taken to ease a child's pain and help him grow into a healthy adult. Through the stories of children who recover--physically, mentally, and emotionally--from the most devastating circumstances, Perry shows how simple things like surroundings, affection, language, and touch can deeply impact the developing brain, for better or for worse. In this deeply informed and moving book, Bruce Perry dramatically demonstrates that only when we understand the science of the mind can we hope to heal the spirit of even the most wounded child. Steeped in vivid case examples, therapeutic dialogue and points for reflection, Brief Counselling in Schools, Third Edition is a highly practical and accessible guide to helping and supporting young people experiencing difficulties both at home and at school or college. Covering issues from low self-esteem and sexuality, to substance misuse and aggression, Dennis Linesdraws on a method of brief integrative counseling to illustrate how a time-limited therapy can work effectively in an often pressured and time-limited setting. Meet Hannah - a young girl with selective mutism (SM). Hannah invites readers to learn about selective mutism from her perspective, helping them to understand what it is, what it feels like to have SM, and how they can help. This illustrated book is packed with accessible information and will be an ideal introduction to selective mutism. It shows family, friends and teachers how they can support a child with the condition and is also a good place to start when encouraging children with SM to talk about how it affects them. A clear conceptual framework and historical context is provided for the work. The book is then structured to follow the therapeutic process, from assessment (referral and initial interview, individual assessment, developmental considerations, assessment for therapy, working with parents) to therapy (physical and mental settings, interpretation, the role and challenges of play, transference and countertransference, termination). Drawing on the Winnicottian tradition, in which fun and humour have a place in child and adolescent work, Blake demonstrates how a therapist can be playful and less directly interpretative. How psychodynamic thinking can be applied in an effective yet time-limited manner is also demonstrated. The text is enlivened by many case studies and clinical anecdotes. The author offers guidelines for interviewing children of different ages/m-/as well as their parents and teachers/m-/and for weaving the resulting data into multimethod assessment and intervention planning. Coverage encompasses school issues, peer and family relations, problem behavior, and more, with special chapters on assessing suicidality and violence risks. The book includes many detailed case illustrations and reproducible interview tools, in a convenient large-size format with lay-flat binding. 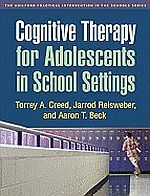 This first concise guide to conducting cognitive therapy (CT) with adolescents in school settings features in-depth case examples and hands-on clinical tools. The authors provide an accessible introduction to the cognitive model and demonstrate specific therapeutic techniques. Strategies are illustrated for engaging adolescents in therapy, rapidly creating an effective case conceptualization, and addressing a range of clinical issues and stressors frequently experienced in grades 6-12. The challenges and rewards of school-based CT are discussed in detail. In a convenient large-size format with lay-flat binding for easy photocopying, the book contains 16 reproducible handouts, worksheets, and forms. presents cutting-edge strategies for helping children and their families overcome a wide range of emotional and behavioral challenges. Vivid case material illustrates how to engage clients rapidly and implement interventions that elicit their strengths. Integrating concepts and tools from a variety of therapeutic traditions, Selekman describes creative applications of interviewing, family art and play, postmodern and narrative techniques, and positive psychology. He highlights ways to promote spontaneity, fun, and new possibilities�especially with clients who feel stuck in longstanding difficulties and entrenched patterns of interaction. The book updates and refines the approach originally presented in Selekman's acclaimed Solution-Focused Therapy with Children. This practical manual is based on extensive research and the collaboration of hundreds of community-based therapists. 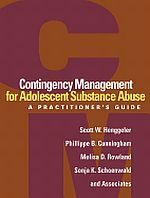 It provides step-by-step guidelines for implementing contingency management (CM)--one of the most effective treatments for substance abuse--with adolescents and their caregivers. Strategies are detailed for assessing substance use disorders, developing individualized cognitive and behavioral interventions, using behavioral contracts and contingencies to reinforce abstinence, and overcoming frequently encountered treatment roadblocks. Extensive sample dialogues illustrate what CM looks like in action. Depressive disorders can produce dramatic and frightening changes in young peoples� behaviour, but while parents may suspect something is wrong, they are often at a loss to know what. This book shows parents how to tell the difference between the ordinary ups and downs and true depression, helping them better understand clinical warning signs and the various approaches to treatment. Dealing sensitively with how depression sometimes manifests itself� self-harm, alcohol and drug abuse, and suicide attempts� the book offers parents practical guidance on how they can reach out to their children and find professional assistance. For counselors and teachers at all levels, this book presents a positive program for changing individual behavior. Step by step, this empowering book shows professionals how to address the problems faced by today's students. Rich in practical exercises, this is the definitive guide to the skills and techniques used when working with children experiencing emotional problems. Now over fifteen years old, the Geldard's bestselling book covers everything you need to know to work effectively with this age group. This fully revised and updated fourth edition includes: - The goals for counselling children and the counsellor-child relationship - Practice frameworks for working effectively with children - Play therapy and using different media and activities - Building self esteem and social skills using worksheets. The book also has: - A brand new chapter on ethical considerations - A new chapter covering current research, helping you understand and demonstrate the evidence base for your practice - Lots more case studies to help you explore the most appropriate techniques across different settings and at different stages of your practice. This highly practical guide is vital reading for anyone working or training to work with children, whether you be counsellor, psychologist, social worker, occupational therapist, nurse or teacher. This volume will provide practitioners with case examples and show considerations including race, ethnicity, religion, and other cultural factors of boys. The book creates a bridge between young men and professional helpers by providing school and mental health practitioners with a practical book on understanding and responding to the developmental and special issues of boys and male adolescent males. Key content includes adjustment issues, strategies for establishing rapport, interventions, case studies, and suggestions for future training and research. Rich with case material and artwork samples, this volume demonstrates a range of creative approaches for facilitating children's emotional reparation and recovery from trauma. Contributors include experienced practitioners of play, art, music, movement and drama therapies, bibliotherapy, and integrative therapies, who describe step-by-step strategies for working with individual children, families, and groups. The case-based format makes the book especially practical and user-friendly. Specific types of stressful experiences addressed include parental loss, child abuse, accidents, family violence, bullying, and mass trauma. Broader approaches to promoting resilience and preventing posttraumatic problems in children at risk are also presented. To be able to effectively offer therapy to children, complex therapeutic concepts need to be presented in an appropriate and engaging manner. This practical guide provides clinicians with a way in which to do so, with numerous games and imaginative activities to help children aged 4-12 to express and understand their feelings. Part I provides a comprehensive guide to working therapeutically with children and families, while Part II outlines 47 creative therapeutic activities. Each activity is presented with clear instructions using inexpensive and readily available resources and the objective and rationale of each activity is given, making it easily applicable. Activities range from using an easy to make volcano to help children better understand anger, to using a ball of string to illustrate how one person's feelings affect the whole family. This book is an invaluable resource for newly qualified clinicians, and also a treasure trove of creative ideas for experienced therapists. An edition to guide mental health practitioners in conducting culturally competent, effective work with economically disadvantaged youth from African-, Asian-, Latino- and Native-American backgrounds. This book is designed to teach parents the skills they need to manage difficult adolescent behavior and to improve family relationship overall. Clinicians are shows how to help all family members learn to negotiate, communicate, and problem-solve effectively. Compared to boys, adolescent girls face an increased risk of depression and repeated recurrences throughout adulthood. This unique volume presents a comprehensive multidisciplinary framework for understanding how girls become vulnerable to mood disorders and how that vulnerability might be reduced. � How do I know if I'm depressed? � I feel sick. How can this be in my mind? � How do I get out of the pits? � What do I do when I feel like giving up? � Is this a phase I'll get over? Clinical depression can strike at any age. When it happens during adolescence�a confusing time under the best of circumstances�it can be especially baffling and heart-wrenching for both the young person and his or her parents. And to make matters worse, sometimes finding the right help can be difficult. This book, written especially for teens, is packed with the practical information and the reassurance necessary for coping with�and beating�the "pits." A complete skills training manual for DBT with adolescents, focused on practical application for teens, parents and therapists. Part One covers DBT for teens with comprehensive and age-relevant skills explanations, examples, and applied worksheets. Eich makes the skills real for teens with exercises that get them practicing new behaviors in real-life situations. Includes teaching pages for all four DBT skills training modules. Part Two is a dedicated focus to parents and skills for DBT parenting, and common teenage developmental issues. This section not only emphasizes that DBT skills can be used for anybody and everybody. Part Three is crafted for therapists, with practical strategies on how to conduct DBT programming. Also contains suggestions to teach the skills in active and experiential ways along with helpful sample forms, handouts and worksheets. "Drugs and Your Teen" offers a quick, easy-to-read, comprehensive guide that provides answers-all the information you need to know for dealing with your kids and drugs. It offers step-by-step instructions in determining whether your child is experimenting, using, or abusing legal and illegal substances, including prescription medications, inhalants, alcohol, and street drugs. You'll review symptoms of use and addiction, and be able to identify pushers and dealers, as well as what sources and what risk factors could pull your child into the "addiction hell." You'll also begin to understand the stages of manipulation and abuse your child may be going through. Provides hands-on tools and resources for addressing common emotional and behavioral problems in preschool and kindergarten-age children. The focus is on evidence-based interventions that are practical and effective, and that help prevent the development of more serious difficulties later on. The clinician is taken step by step through managing everything from toileting, eating, and sleep problems to externalizing disorders, internalizing disorders, and the effects of physical or sexual abuse. A variety of assessment methods are demonstrated and guidelines provided for planning and implementing a range of home- and school-based interventions. Conveniently designed in a large-size format for ease of photocopying, the volume contains over 30 reproducible parent handouts and other clinical tools. Using a journal format, 12-year-old Maya chronicles her emotional ups and downs and describes the process of psychotherapy. She begins by describing a change in her feelings and functioning: a lack of interest in things she used to love, difficulties in school, and problems getting along with her friends and family?none of the problems extreme but serious enough to merit attention and intervention. The problems are portrayed as quite general, in order to reach the widest possible audience. The focus is not about resolving Maya's particular problems but about informing the reader about the process of psychotherapy and its potential usefulness. By the end of the book, Maya is ?feeling better.? She has discovered that changes in her family affected her more than she realized, has become aware of the suppressed feelings that have gnawed away at her, and has learned to deal with them more openly, with the result that she is back to being her old (true) self. For ages 8-14 . Widely used to train health and mental health professionals, the genogram is a graphic way of organizing information gathered during a family assessment and identifying patterns in the family system. This popular text--updated and expanded to highlight new developments in genogram use--thoroughly explains how to draw, interpret, and apply the genogram. Using genograms of famous families as examples--including those of Sigmund Freud, the Kennedys, Bill Clinton, and Thomas Jefferson, to name a few--the authors examine the principles of family systems theory and systemic interviewing. Clinical applications of genograms in both family therapy and family medicine are described, and new frontiers of research are explored, particularly the use of computer-generated genograms. Young people with communication difficulties often struggle in social situations, as without adequate inference, narrative and sequencing skills, correctly interpreting and responding to other people can be a real challenge. This fully photocopiable resource has been designed to improve these skills in the way this population can often learn best - visually. This book is brimming with thought-provoking illustrations of different people in different places, all of which are accompanied by a series of questions designed to encourage prediction and inference skills. Participants are asked to consider everything from who the person in the picture is, what they might be doing, and where they might be going, to how they may be feeling and why. Questions can either be completed individually or brainstormed as a group, and there are three types of illustration to work with - single person, picture sequence, or large scenes containing several interactions. The final section teaches important sequencing skills by providing muddled picture narratives that need to be ordered. This book will be a valuable tool for speech and language therapists/pathologists, occupational therapists, special educators, parents and anybody else looking to help young people with communication difficulties to understand and connect with the world around them. This guide shows how to take charge of your illness, use all the resources available for your treatment, and get your life back to where you want it to be. Chapters address About schizophrenia and the whys and wherefores, medications, the collaborative cure and other steps, role models, dealing with discrimination, you're not alone, information for your family. : Here is a unique picture book of learning solutions for teachers who are trying to help students struggling in three main areas of learning � attention, memory, and organization. For each area, it identifies specific problems such as difficulties with left to right scanning (an attention problem), presents an observed student behavior, explains the problem, and provides strategies and visuals to correct it, including illustrated worksheets. Often described as "social phobia's cousin" and misdiagnosed as autism, selective mutism is a debilitating fear of speaking in some situations experienced by some children. The disorder usually presents in children before the age of five, but it may not be recognized until the child starts school. When requested to speak, children with selective mutism often look down, blush, or otherwise express anxiety that disrupts their engagement with people and activities. Selective mutism is related to social anxiety and social phobia, and more than 90 percent of children with selective mutism also manifest symptoms of one of these problems. This book is the first available for parents of children with selective mutism. It offers a broad overview of the condition and reviews the diagnostic criteria for the disorder. The book details a plan you can use to coordinate professional treatment of your child's disorder. It also explains the steps you can take on your own to encourage your child to speak comfortably in school and in his or her peer group. All of the book's strategies employ a gradual, "stepladder" approach. The techniques gently encourage children to speak more, while at the same time helping them feel safe and supported. Angela E. McHolm, Ph.D., is director of the Selective Mutism Service at McMaster Children's Hospital in Hamilton, ON. The Selective Mutism Service offers outpatient psychiatric consultation to families and professionals such as school personnel, speech and language pathologists, and mental health clinicians who support children with selective mutism. She is assistant professor in the Department of Psychiatry and Behavioural Neurosciences in the Faculty of HealthSciences at McMaster University in Hamilton, ON. Offering supportive, practical advice from a leading child-life specialist, this book includes information such as what to tell a child about the illness, how to recognize early-warning signs in a child's drawings, sleep patterns, schoolwork and eating habits, and when and where to get professional help. Human Givens therapy recognises and addresses innate needs - or 'givens' - common to all humans. The innovative approach is a highly effective way of dealing with the emotional difficulties faced by young people, and this book covers everything the practitioner needs to know about its theory and practice. 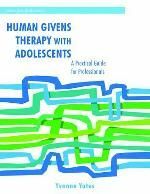 This complete guide to Human Givens therapy will equip educational, clinical and social care professionals working with adolescents with all they need to know to put this effective approach into action.ctice. Grounded in extensive research and clinical experience, this manual provides a complete guide to interpersonal psychotherapy for depressed adolescents (IPT-A). IPT-A is an evidence-based brief intervention designed to meet the specific developmental needs of teenagers. Clinicians learn how to educate adolescents and their families about depression, work with associated relationship difficulties, and help clients manage their symptoms while developing more effective communication and interpersonal problem-solving skills. This book presents a multilevel intervention and prevention program for at-risk adolescents and their families. Grounded in over 15 years of important clinical and developmental research, the Adolescent Transitions Program (ATP) has been nationally recognized as a best practice for strengthening families and reducing adolescent substance use and antisocial behavior. The major focus is to support parents' skills and motivation to reduce adolescent problem behavior and promote success. Spelling out the why, what, and how of this proactive, culturally informed intervention, the volume provides a solid scientific framework and all of the materials needed to implement the program in school or community settings. Included are illustrative case examples and an appendix featuring reproducible handouts and forms. One of the most influential child psychiatrists of the twentieth century, Donald J. Cohen (1940-2001) made groundbreaking contributions to the study of autism and developmental disabilities, Tourette� s syndrome, developmental psychopathology, child psychoanalysis, and children� s adaptation to trauma. As director of the Yale Child Study Center from 1983 to 2001, he fostered international collaborations and innovative approaches to the study of children� s mental health. This book contains a selection of some of his most enduring and influential writings. Showcasing Dr. Cohen� s distinctive approach, these essays� one of which is published here for the first time� address a wide range of topics including autobiographical writings; childhood psychiatric disorders; the role of play fantasy, aggression, and violence in childhood; and research ethics and mentorship. This book is about mental illnesses that cause loss of connection with reality. Such illnesses are known as psychoses and schizophrenia is one of the most common. Psychoses are frightening and very hard to understand. For those unlucky enough to have a psychosis, finding out that other people also have similar strange experiences and that good treatment is available is both immensely reassuring and the first step towards recovery. This book provides that understanding and reassurance. This book provides up-to-date, practical and compassionate information about psychoses, explaining schizophrenia and other psychoses in a straightforward way but also going into the detail needed to make strange things understandable. Technical terms are explained and a broad approach to treatment is described. Almost every idea in the book is connected with a cartoon. This makes learning about the complex workings of the mind more enjoyable and much easier. Lost in a Mind Field is a book designed for those who have the illnesses, those who care for them and for anybody else with an interest in psychosis. It has detailed descriptions and explanations of psychotic experiences and there is also a special section that addresses the brain disturbances that underlie these illnesses. For a lot of kids, dealing with a learning disability can be like climbing a mountain. It can be difficult and overwhelming. But with the right tools, support, and guides, kids can successfully reach the top of their mountain. This book provides easy-to-use tips, information, and strategies for kids to take on their disability, as well as empowering them to feel better and more capable. A psychologist and holistic educator shares her proven techniques for teaching the art of concentration and centering to children. Adds balance and self-esteem, improves decision making, and puts children in touch with their deeper core values. Children love these simple, fun techniques that develop concentration, stimulate creativity, balance the mental, emotional, and physical natures, and build self-security. Used by educators nationwide. Metcalf offers a step-by-step approach for people who feel stuck and overwhelmed by their life, and provides methods for tapping into sources and resources they already have in order to change whats happening in their lives. Narrative counseling is based on the premise that stories, rather than hard-nosed realities, shape our lives. By changing the stories that negatively label and define students, we help them open up new avenues and opportunities. In this second edition of their best-selling book, John Winslade and Gerald Monk present even more case studies, guidance, and examples of counseling practice to help students narrate stories that "redescribe" who they are and can be. Mindful that today's busy counselors need effective and brief techniques, the authors make plain the steps with which counselors can externalize problems and draw out student self-knowledge to inform new ways of identifying and behaving. Over the past 30 years we have seen a rise in explosive, challenging and resistant behaviours in children and adolescents. What used to work with difficult kids may not now be working for professionals and parents alike. A new approach is needed that is tailored to the individual need and is directive, creative - and FUN. This cutting-edge tips workbook will guide professionals in working with children, adolescents and families across multiple settings and treatment modalities. Inside, find easy to use worksheets, handouts and step-by-step tips and proven techniques to foster the working relationship required to elicit change and healing. Suitable for those with anger and explosive behaviours, and ADD/HD, those who are depressed and traumatized, with executive function disorders, risky behaviours and others. Building a supportive and open relationship with young people suffering from eating disorders is key to assisting the recovery process. This book is packed with analogies, metaphors, diagrams, illustrations and stories that will allow parents and caregivers to ally themselves with treatment of the situation rather than the eating disorder, and take positive steps with their child towards a full and lasting recovery. It explains what attachment is, what different patterns of attachment look like in children and young people, how early attachment experiences affect their lives, and how this understanding can help childcare workers to develop therapeutic ways of caring. By understanding these issues, childcare workers are better equipped to help and support the troubled children they care for. 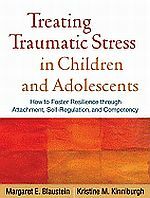 This book shows how to promote recovery through secure base experiences in a therapeutic environment and provides solutions and methods to tackle challenging and problem behaviour, anger and the effects of trauma in children with attachment problems. Bringing together leading authorities, this concise, state-of-the-science handbook delves into all aspects of problem-solving-based school psychology practice. Thirty-four focused chapters present methods for assessment, analysis, intervention, and evaluation. Practitioners are given tools and guidelines for supporting students' academic, social-emotional, and behavioral skills, with an emphasis on the development of evidence-based interventions. Presents applications for intervening at multiple levels, from supporting individual students to problem solving with groups, whole classrooms or an entire school. The book is organized around four basic questions that encapsulate the decision-making process of effective practitioners. Concise, focused chapters showcase data-based methods for assessment, analysis intervention, and evaluation, with special attention to working in a response-to-intervention framework. Clear-cut procedures are described for improving learning outcomes in key academic domains: reading, wiring, and math. Social-emotional and behavioral skills are thoroughly discussed in chapters on self-managment interventions, peer and family support, cognitive-behavioral interventions, medication use, promoting social competence and resilience and more. The volume also details how practitioners can team successfully with teachers, parents, and other intervetnion participants to develop collaborative solutions and overcome obstacles. Designed for optimal utility for day-to-day clinical practice, this handbook belongs on the desks of all school psychologists and counsellors, and will also be of interest to special eductors and child and adolescent clinical psychologists. This book responds to the urgent need for practical intervention approaches targeting young people at risk. It provides a much needed practical resource for practitioners and students from a variety of helping professions. Focusing on interventions that practitioners can use in collaboration with the young person, the book offers hands-on strategies for addressing challenges and issues typically faced by young people, such as: - depression, suicide and self-harm, substance misuse, problematic sexual behaviour, marginalised youth and mental health issues. Throughout the book, multi-disciplinary and international authors share their expertise, highlighting relevant evidence-based interventions and considering themes such as anti-oppressive practice, culture, values and ethics. It will prove invaluable reading for students and practitioners working with young people, especially in the fields of youth work, social work, psychology, counselling, and education. This highly accessible book presents clear steps for helping children and adolescents to develop and test out new solutions to specific social, emotional, or behavioral challenges. The author demonstrates how therapists of any orientation can implement problem solving as a stand-alone intervention or in combination with other therapeutic techniques. Extensive clinical examples illustrate what the approach looks like in action with kids of different ages; how it increases their confidence, independence, and resilience; and ways to involve parents. Strategies for overcoming frequently encountered obstacles to problem solving are highlighted throughout. Psychodynamic Counselling in a Nutshell explains in clear, jargon-free style, the concepts at the heart of the psychodynamic approach and, drawing on case material, describes the therapeutic practice which rests on those ideas. Assuming no previous knowledge of the subject, the book introduces the history of the approach, key main concepts, and practical techniques used by practitioners. In the first chapter the author introduces a client, John, whose case is revisited throughout the book connecting together theory and practice for the reader. For anyone reading about the psychodynamic approach for the first time, Psychodynamic Counselling in a Nutshell is the ideal place to start. Therapy is a critical element of work with abused children, offering them the opportunity to explore past experiences in a safe environment with the emotional support of a therapist. Reaching the Vulnerable Child offers a tried-and-tested model of therapy which employs play and expressive arts to foster verbal, non-verbal and symbolic communication in abused children and young people. The authors look in detail at attachment, separation and loss, and the effects of trauma on brain functioning. They offer practical guidance on preparing for sessions, creating a safe therapeutic environment and how to involve the child's carer in the process. Drawing on a wide range of therapeutic techniques, including play, movement, art, drama, music and therapeutic story work, the authors offer advice on addressing guilt, depression and low self-esteem, establishing trust and dealing with sexualized or aggressive behaviour. Provides a tried-and-tested model for working with adolescents in groups. Utilizing techniques found in psychodrama, sociodrama, dramatherapy and sociometry, offers step-by-step practical guidelines on running a group development programme and summarizes the supporting theory in easy-to-understand language. Has advice on facilitating group and personal development, and also on working with particular groups of adolescents, for example those with developmental disabilities or from different cultures. This illuminating and accessible book provides invaluable insight into working successfully - and enjoyably - with adolescent groups. It is essential reading for practicing therapists and anyone working with adolescents in therapeutic settings. He was red but not very good at being red. Red's factory-applied label clearly says that he's red, but despite the best efforts of his teacher, fellow crayons and art supplies, and family members, he can't seem to do anything right until a new friend offers a fresh perspective. A great book about labelling. Neuroscience in particular has enabled researches to frame different questions when investigating this illness, and we are now coming to a deeper understanding of it. The author takes readers on a journey through brain development to begin to understand neurocognitive deficits and their importance for schizophrenia. He also discusses the introduction of a new generation of medications, findings from brain imaging, genetics, cognitive rehabilitation, and the determinates of functional outcome. This unique handbook provides information on common mental health disorders and intervention strategies that busy school counselors need to help students succeed. This book gives parents and teachers of students with conduct disorder, oppositional defiant disorder, mood disorders, or other emotional and behavioral disorders the strategies they need to help these kids overcome their struggles and find success in school. Based on the experiences of psychologists and educators working with kids with these disorders, this book provides help for children needing to control their emotional outbursts and strategies to teach kids to monitor, review, and change their behaviors. The chapters cover topics like managing the classroom, dealing with struggles with homework, choosing from options such as time out or restraint to control behavior, helping kids develop self-advocacy strategies and independence, and planning services and accommodations for these disorders. The book also includes multiple tools for parents and teachers to reproduce and use immediately to help their students with emotional and behavioral problems overcome their challenges. This volume helps counselors provide young adolescents with the opportunity to learn new ideas, skills, behaviors, perspectives, and attitudes in a group setting. The book is divided into two sections. Part One provides specific do's and don'ts and many other useful guidelines for running a successful group. Part Two contains detailed procedures for conducting groups on eight topic areas. Appendices include pretests and post-tests for each topic area, needs assessment forms, sample letters, consent forms, and best practice guidelines for group counselors. issues from a male perspective. The basic premise of Speaking about the Unspeakable is that life's most pivotal experiences, both good and bad, can be truly expressed via the language of the imagination. Through creativity and play, children are free to articulate their emotions indirectly. The contributors, all experienced child therapists, describe a wide variety of non-verbal therapeutic techniques, including clay, sand, movement and nature therapy, illustrating their descriptions with moving case studies from their professional experience. Accessible and engaging, this book will inspire child psychologists and therapists, art therapists and anyone with an interest in therapeutic work with children. Are you struggling to manage your workload? Do you need help with planning and revising? 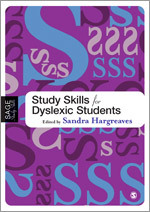 Written with the needs of dyslexic students in further and higher education in mind, this book will motivate, inspire and guide you through your studies. It is set out in an accessible format and includes a CD packed with tools and resources to help you plan your work, improve your skills, and boost your confidence. There's advice on: " planning your workload to fit your schedule " note-taking and note-making " reading strategies and speed reading " answering essay questions " improving your grammar, spelling and punctuation " improving mathematics skills and using statistics " examination techniques " using ICT to help you This is an essential read for all dyslexic students in further and higher education. Using cognitive neuroscience to rethink traditional teaching methods and strategies. Research and experience show that children and adolescents who struggle with emotional, behavioral and social problems do improve when they learn prosocial skills. Social skill instruction, therefore, can be a vital component in the treatment planning for a child diagnosed with a mental health disorder. 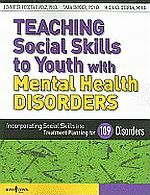 Teaching Social Skills to Youth with Mental Health Disorders is a guide for therapists, counselors, psychologists, educators, and other practitioners trying to help these youth get better. In Teaching Teenagers, there is practical advice that is grounded in the realities of teaching in today s classrooms on how to be an inspirational teacher and produce highly motivated students. This book contains 220 positive, practical teaching ideas that are relevant to both new and experienced classroom teachers. This book addresses the challenges faced when children who refuse to talk, children who lack psychological mindedness, teens who experience a strong aversion to the influence of any adult, and children and teens who mask their woundedness by hostility or diffidence show up for therapy. This book does not push one therapeutical or theoretical approach over another but specifically describes useful tools that can be utilized within a wide range of approaches. Solution-oriented therapy focuses on eliciting, evoking, and highlighting the strengths of clients, as opposed to their pathology and deficits. Here, Robert Bertolino explains his great success in applying this model to the treatment of adolescents. He describes how to work with these young clients to help empower them to change their life scripts. The number of anxious, depressed, hyperactive, and withdrawn children is staggering--and still growing. "Trauma-Proofing Your Kids" sends a lifeline to parents who wonder how they can help their worried and troubled children. This work offers simple but powerful tools to keep children safe. With compassion and wisdom born of vast clinical experience, Eliana Gil's new book offers practical, step-by-step guidance for mental health professionals, demonstrating how they can communicate and work more effectively with adolescents who have suffered from abuse. Her book describes the impact of abuse on development, shows how "acting out" can be understood as a bid for attention and help, and details specific ways a therapist can overcome obstacles in treatment. This book illuminates the causes of severe adolescent behavioral problems and presents a research-based, 15-step model for helping families bring about meaningful change. Incorporating structural and strategic principles, the author's cohesive approach focuses on setting clear rules and consequences; changing the mood and direction of confrontations; neutralizing such problem behaviors as disrespect, truancy, running away, violence, and threats of suicide; and restoring positive, nurturing family relationships. Special treatment issues covered include adolescent substance abuse and managing problems that arise in single-parent and divorced families, as well as ways to collaborate effectively with outside systems. Featuring a wealth of illustrative case examples, this is an indispensable clinical guidebook and text. Packed with practical clinical tools, this guide explains how to plan and organize individualized interventions that promote resilience, strengthen child-caregiver relationships, and restore developmental competencies derailed by chronic, multiple stressors. "Treating Traumatized Children" is the first handbook to provide specific guidance and tools for treating children who have been traumatized by physical and sexual abuse, disaster, divorce, or witnessing violent events. This book will provide helping professionals with a clear blueprint for assessing the impact of trauma and developing specific treatment plans. Beverly James, a specialist in evaluating and treating traumatized children, outlines creative exercises and techniques that will enable clinicians to join with children in slowly and carefully reviewing their experiences and helping them understand and accept their feelings related to the trauma. Art, play, and drama techniques, among others, are presented in a sophisticated yet straightforward style, useful to clinicians with specialized training in such techniques or those using them for the first time. Can you imagine not being able to recognize the faces of your closest friends and family if they changed their hairstyle, wore glasses, or perhaps put on a hat? Prosopagnosia is a severe face recognition deficit which is thought to impact two percent of the population. It can be found among children on the autism spectrum as well as others, and yet little has been done to inform parents, educators and other professionals on how to effectively support those with a facial recognition deficit. Nancy L. Mindick explains what prosopagnosia is and how its symptoms present themselves in children, and offers a bounty of ideas for more effectively including the child in family, school, and community activities. Why Does Schizophrenia Develop at Late Adolescence? Proposes a controversial new model of how schizophrenia develops in late adolescence and presents clinical material aimed at influencing the way psychosis is treated, building on a state-of-the-art reassessment of the field. This unique psychological account of schizophrenia offers insights and practical therapeutic techniques that will be of value to young people with this problem, their families and anyone working with adolescents. : For therapists and all those working in mental health services, particularly those interested in early intervention. For children who have a parent with severe, incapacitating disorders like psychosis, suicidal depression, extreme anxiety or those undergoing the most intensive forms of treatment, this workbook can help children process their thoughts, feelings, and experiences while learning more about their parent's illness. Teachers & parents. This state-of-the-art practitioner resource and course text provides a comprehensive view of adolescent development and spells out effective ways to help teens who are having difficulties. The book illuminates protective and risk factors in the many contexts of adolescents' lives, from individual attributes to family, school, neighborhood, and media influences. An ecological perspective is applied to understanding and addressing specific adolescent challenges, including substance abuse, sexual identity issues, mental health problems, risky sexual behavior, and delinquency. Throughout the text, clear-cut assessment and intervention strategies are illustrated with rich case examples. This title is part of the Social Work Practice With Children and Families Series, edited by Nancy Boyd Webb. Describes the practical process of assessment and intervention that can lead to empowering individual families and improving their quality of life. This edition expands the material on underlying theoretical approaches to understanding behaviour, considers problems that arise from intervening in personal relationships and interactions with famlies, includes new chapters addressing how children and families can go beyond solving their immediate problem and find renewed interest in social and community networks, and stresses the importance of evaluating practices and programs as service environments change and demands for accountability increase. Copyright © 2019, Peoplemaking. Page dynamically created on April 20th, 2019, in 0.012 secs.